Make your Raccoon 2 even better! Some microorganisms just don't know what's best for themselves, in many cases a pH control is required to ensure the optimal conditions for your experiments. Our pH/CO2 sensor addon which measures in the outflow of the reactors allow pH control through the Raccoon Control Software. Additionally the CO2 measurements enables biomass balances (requires regulated inflow) so that you can verify how the precious carbon was put to use. 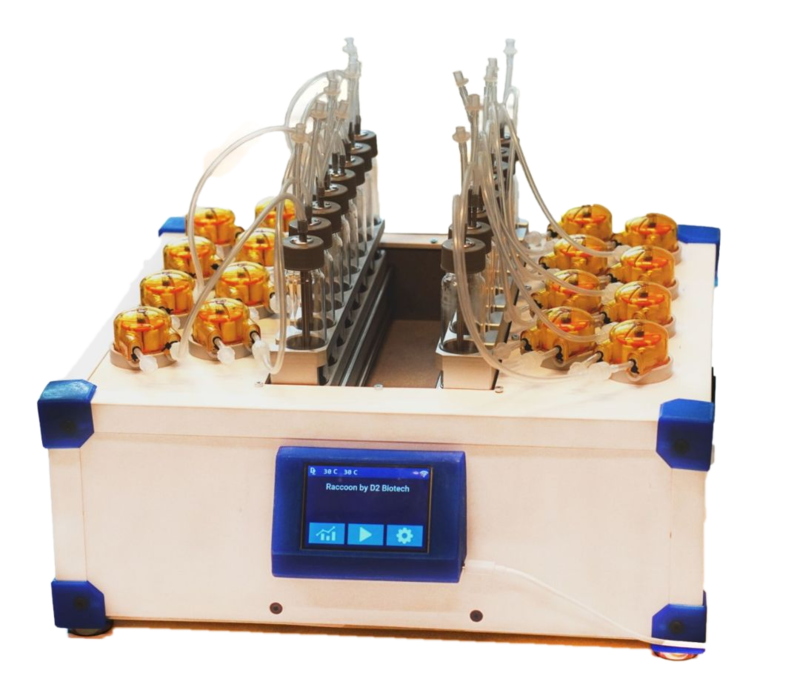 With a high throughput system such as the raccoon, boasting 16 reactors, it becomes expensive and a technical challenge to individually regulate the gas inflow. 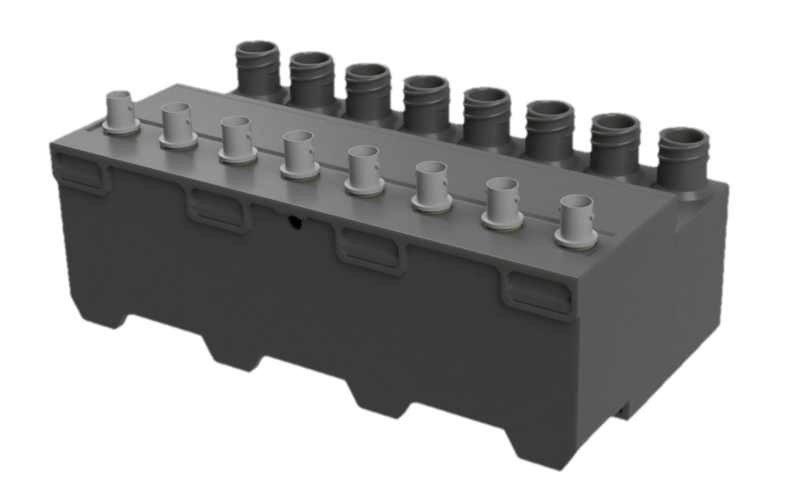 We are developing a compact and cost-effective MFC which can be connected to the Raccoon 2 and controlled with our Raccoon Control Software. 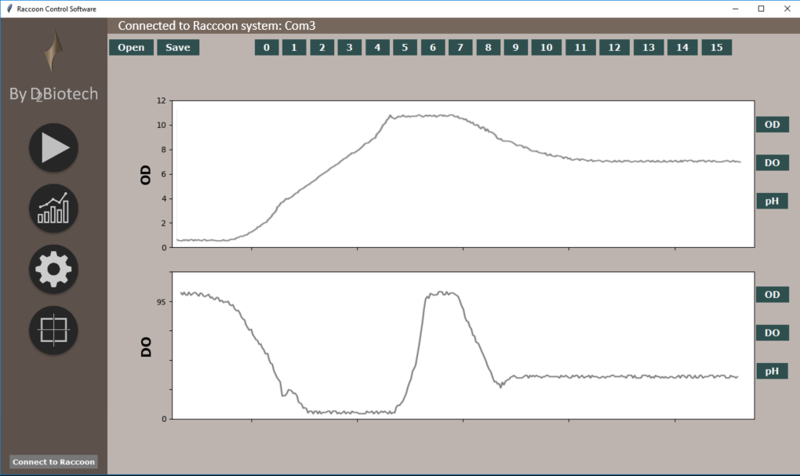 RCS is an intuitive software for controlling your Raccoon system during fermentation and provides a quick overview of the data collected by internal sensors and peripherals. Here is where you setup your experiment, calibrate pumps and sensors, and save the data you've acquired. 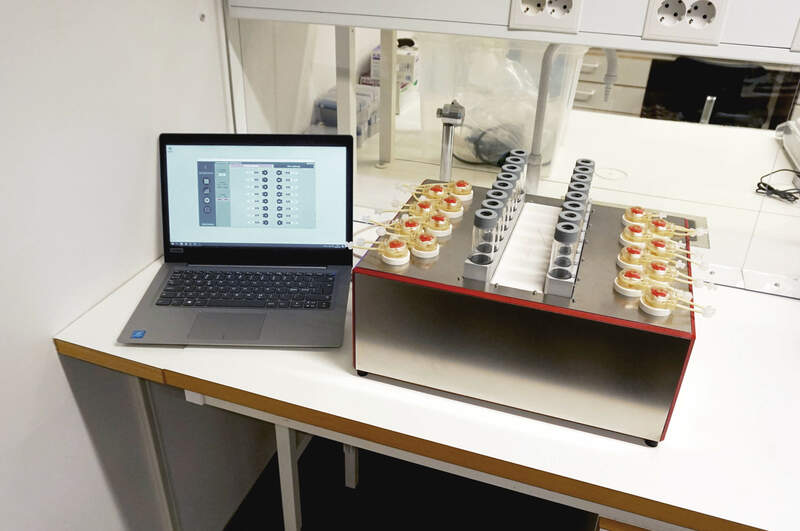 Raccoon is based on the research done by David Bergenholm, David Hansson, Guodong Liu, and Jens Nielsen at Chalmers University of Technology. Raccoon was the first attempt of bringing the full chemstat functionallity to a compact system. It originally had no automated measurements but has since been developed into Raccoon 2, featuring internal sensors, useful peripherals, and an upgraded exterior. Why is the system named Raccoon? During early communications the word "reactor" got auto-corrected to "raccoon" without our knowledge. When our customer pointed it out we played along and name the system Raccoon.